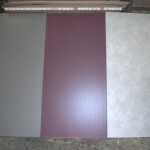 High-pressure laminate consists of several layers of core and decorative paper. The paper layers are impregnated with phenol and melamine resins and then compressed under heat. 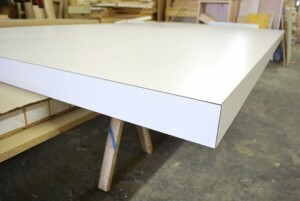 This surface material is extremely durable and is ideal for furniture and interior surfaces subject to heavy wear (e.g. kitchen worktops). 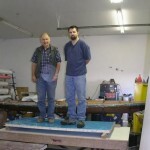 For fiberglass reinforced plastic (FRP), click here. When using a high pressure laminate material or plastic, why not take advantage of the Sing Composite strengths in your project. In this way you retain all the benefits of the material that you’re accustomed to, while having the added advantage of having unparalleled structural integrity. Other benefits include being insulated and eco-friendly. Insulation: Sing Core has built-in insulation value with a R3 to R6.5 rating per inch, depending on client’s needs/specifications. 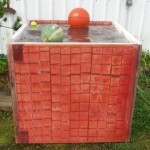 Strength: Sing Core based on 2” x 2” grids and ¾” thick is 660 PSI. Sing Core’s superior strength comes from its advanced torsion box design. Solid: Sing Core is solid like a rock. While the vertical wood grain torsion box core may be compared to other hollow honeycomb cores, the Sing Core voids are not hollow. 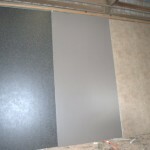 Instead, they are bonded wall-to-wall with recycled foam for a strong, solid substrate. Eco-friendly: Sing Core is manufactured using natural wood fibers, no formaldehyde, or toxic chemicals, and is created using less energy than any other core materials with little or no waste. 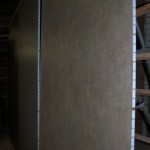 Renewable: The structure of Sing Core is 100% renewable (nature-grown) clean fiber and/ or recycled material. Oversize: Sing Core excels in large oversize products due to its unique properties and can be up to 50 ft. in length. 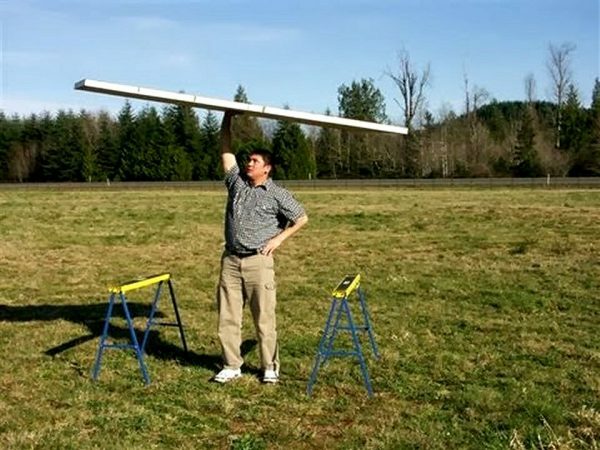 Dimensionally stable: Sing Core is the most dimensionally stable building material, which allows us to create large, oversized products, that are truly flat while exceeding AWI standards. 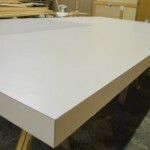 Large oversized panels can be truly dimensionally stable without any warping due to temperature and moisture change. Affordable: Even though Sing Core technology is used in high-end applications, we make it affordable to be used in a large number of applications. Sing Core performance is compared to any high-end core but could cost as little as low-end wood product cores. 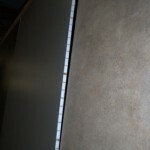 If you want the best high pressure laminate (HPL) or plastic panel or door available make sure you use Sing Core. Patented Sing Honeycomb HPL High Pressure Laminate panels can be any size you want; any length, any width, any thickness, up to 50 feet. 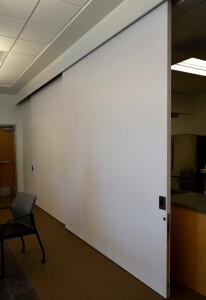 7′ x 3′ High Pressure Laminate door with blue gel coat. 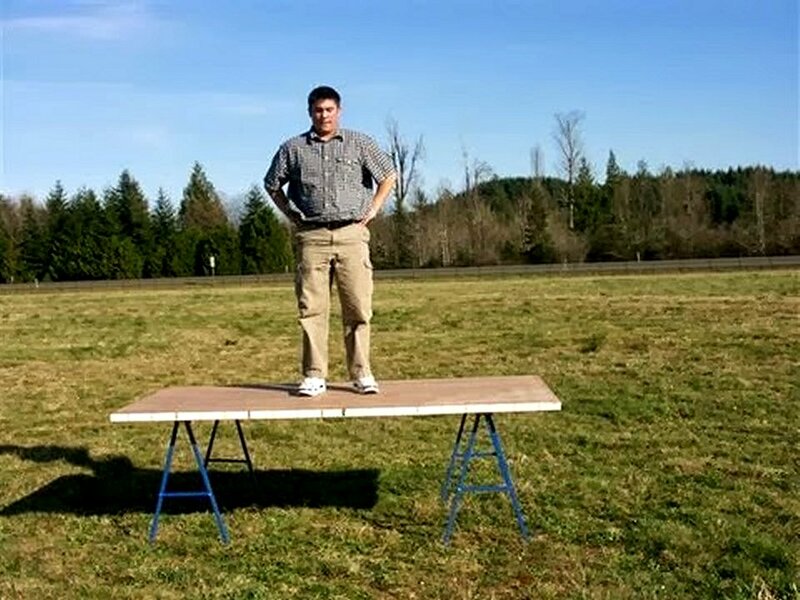 Deflection test of a finished high pressure laminate trailer deck. 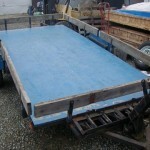 HPL trailer deck (13′ x 6′). Very strong but lightweight. Lightweight, high strength finished High Pressure Laminate French door. 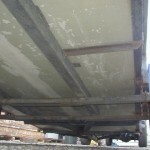 The underside of the HPL trailer deck.